Hurricane Sandy may have grounded his flight to Ottawa, but Robarts scientist Ravi Menon, still got his moment before the House of Commons Standing Committee on Health to discuss medical technology and the need to become risk-takers. 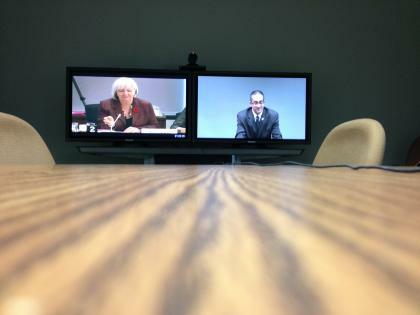 The session was video conferenced instead. Menon used the opportunity to discuss the importance of funding basic research, and the need to take a risk. "Being innovative requires risk-taking. Canadian companies will not take this risk. Canadian banks will not take this risk. Canadian venture capital companies will not take this risk. This is the role of government-to seed innovation in the laboratory, even if you do not know what it will yield, or when it will yield it." He provided examples of lost opportunities, where innovations developed here were sold to companies in the U-S and elsewhere. "In just these 4 examples from my own institution, I have shown how Canada has squandered billions of dollars in potential revenue and taxes by sending technologies we developed out of the country instead of investing in them," Menon told the committee.